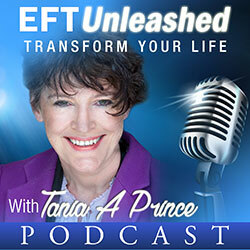 Gwyneth Moss a fellow EFT Master just sent me this post regarding an event she has set up called, EFT: Exploring Consciousness Event, this will take place on the 26/29th April. Gwyneth and I both had the opportunity to watch Gary (Craig) over in Boston doing EFT whilst the volunteers subjects were wired to brain wave monitors and the results displayed on large screens to the side of the stage. I’ve been busy since we returned from the EFT Master Showcase in Boston last September and I’d like to share with you what I am planning. We all watched enthralled in Boston as we saw Gary Craig tapping with people on stage as their actual brainwave patterns and heart rate coherence were monitored live and projected on screens for all to see. Initially the display of moving coloured lines was a little intimidating and confusing: but I found that with some explanation from the biofeedback experts Donna Bach and Gray Groesbeck that I was able to see emotional changes made visible. We know that when we tap for ourselves and others that initially there is a softening and a relaxation. Then as we keep tapping memories and emotions can spontaneously emerge from the past and as we continue they clear leaving a sense of calm and balance. Often its at this time that people speak of tingling or the heat of healing. Well that is just what we saw in the brainwaves. Our brains are hives of electrical activity and are constantly emitting electromagnetic waves of a range of frequencies and amplitudes. A simple head band is fitted to the person and these brainwaves can be monitored by an instrument called an EEG. In Boston we saw the faster waves called beta waves that are typical of thinking and worry diminish as the session progressed. At the same time the alpha brainwaves of relaxation increased. As emotional issues arose for clearing the slower theta waves of deep emotion flared and subsided. Then occasionally we saw the very slow delta waves, normally seen in deep sleep which we were told showed the presence of healing. A further effect and just as important, we saw an overall balancing between the left and right hemispheres of the brain. Gary and Donna were also using Heart Math technology to monitor heart rate coherence which also showed an improvement after EFT. 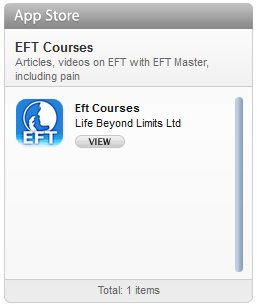 Now I don’t think we can be as bold to claim this as “evidence” for EFT as that would require controlled trials within a formal research methodology – but it really is interesting to observe on the screen what we subjectively experience and my feel is that the more we understand about how EFT effects brain output and heart rate the more we can learn about how to use EFT more effectively. OK, here is what I am doing. I got back home from Boston and resolved to invite Donna Bach and Gary Groesbeck the international brainwave experts who assisted Gary Craig to come over from California to Yorkshire! Well the good news is that it is all happening. 26/29 April 2008 at the venue of last year’s Masterclass, The Craiglands Hotel in Ilkley, West Yorkshire. Rue Hass and also our own Paul Lynch will be joining me. I am looking forward to seeing what effect my imagery techniques have on brain and heart. Over the weekend we will be monitoring people when they are tapping on themselves, when they are being tapped on and even when they are tapping on a bear. We will also monitor therapist and client together to understand what changes in the therapist’s brain state whilst doing EFT. 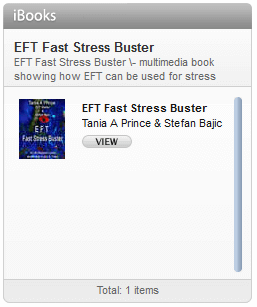 I know I go into some sort of trance state when I am working with EFT because the time just flies. Gary and Donna are staying on for the Monday and Tuesday to run an experiential workshop where each person can explore their own brain states, see their own brainwaves monitored and learn to balance and optimise their mind for peak performance and creativity. Wow!